Whether you just bought a water stone, or you’re about to buy one, you need to understand that you will need to take care of them to keep them flat. 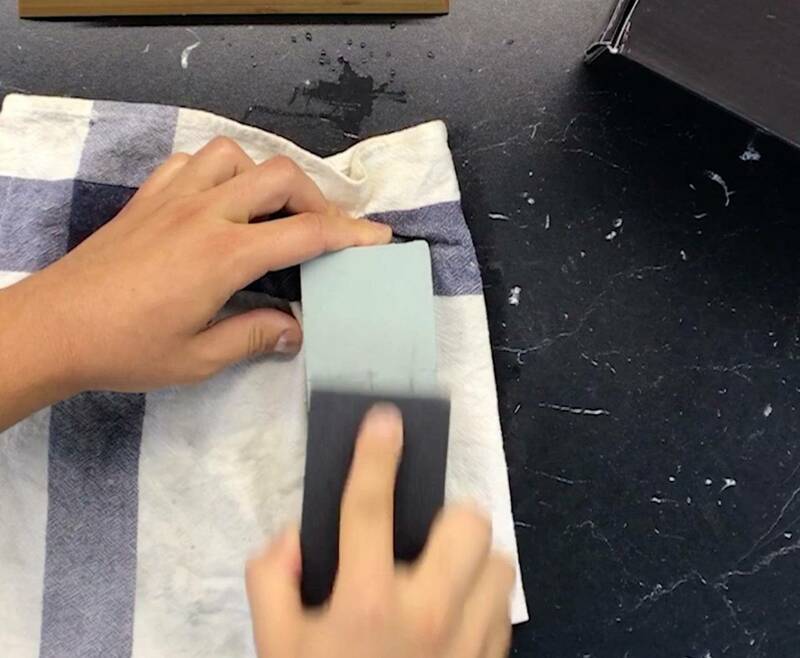 Flattening a water stone is a very simple process and I will show you how it can be done easily in less than 5 minutes. 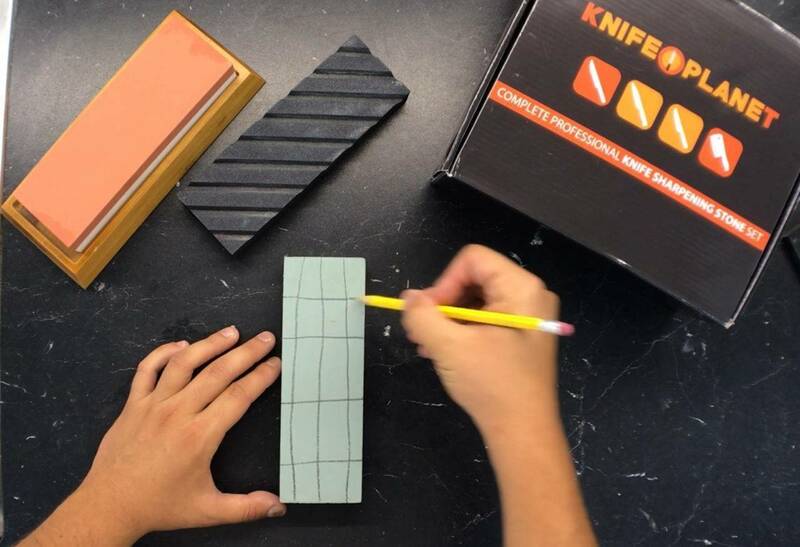 400, 1000, 3000, 8000 Grit + Coarse Flattening Stone Yes: 1 Bamboo base + 2 Rubber stone holders We've designed this set to be a complete, all-in-one kit ideal for beginners. You'll be able to learn the basics and progress, without spending a fortune to get started. Why Do I Need To Flatten My Water Stones? The answer is simple. 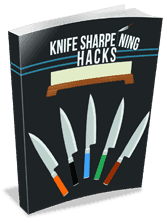 By sharpening your knives on a water stone, the stone will naturally deteriorate. Think about it: you are taking advantage of your stones’ abrasive properties, and the stone “loses” some of its material in the process. 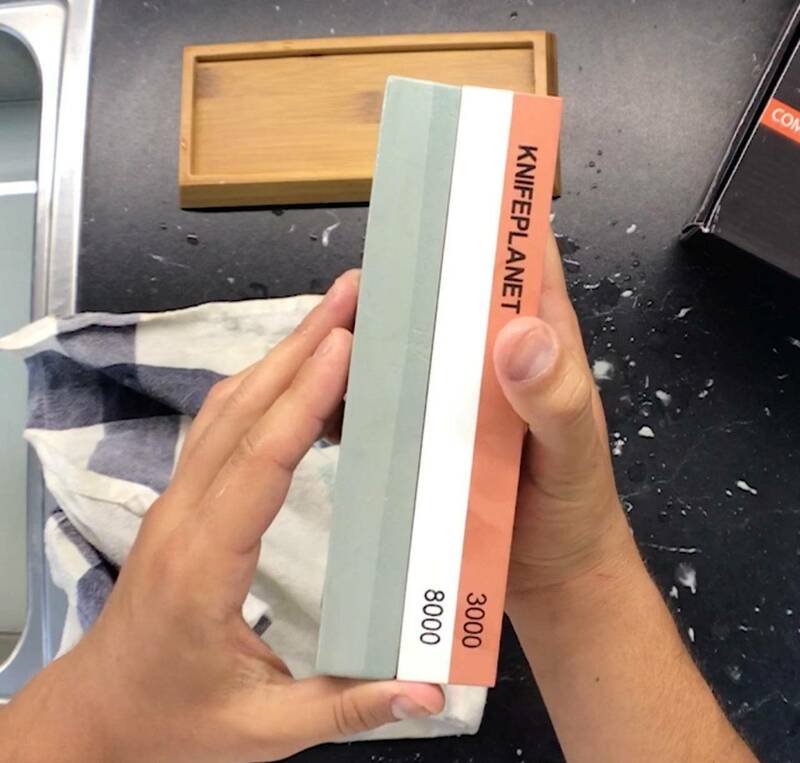 It won’t happen overnight, but by using your stone regularly you will start to notice how its shape changes and starts to be damaged right in the middle of the sharpening area. Exactly where you sharpen your knives. 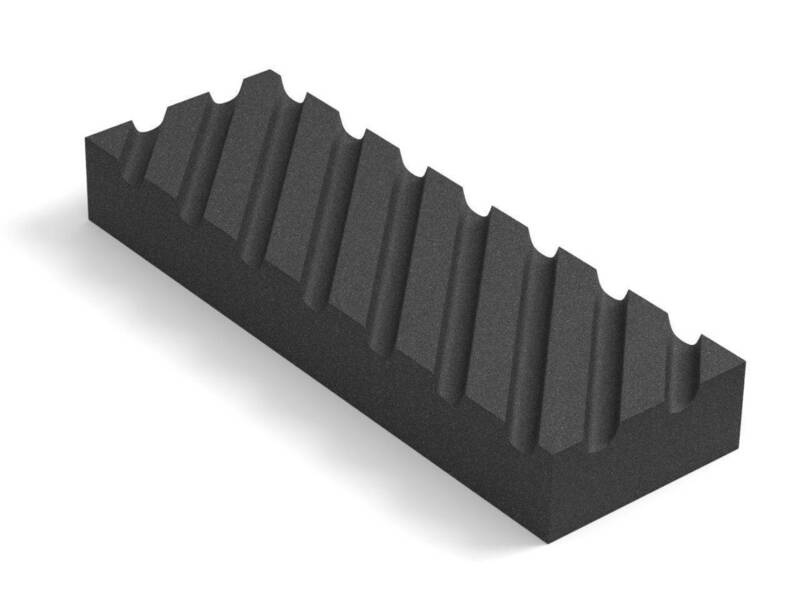 We’ve mentioned flattening in several articles on KnifePlanet, and here’s a collection of our best flattening tips & recommendations. Flattening grid: horizontal and vertical lines drawn with a pencil. Draw a flattening grid with a pencil. 2. Place flattening stone and dished water stone in water. Let them sink for around 3-4 minutes. You will see bubbles forming, this in normal. Water will activate the abrasive components of the KnifePlanet’s Flattening Stone. 3. Place the water stone flat and rub the flattening stone on it. Your goal is to remove the lines you’ve drawn completely. Keep the stones wet during the process. 4. 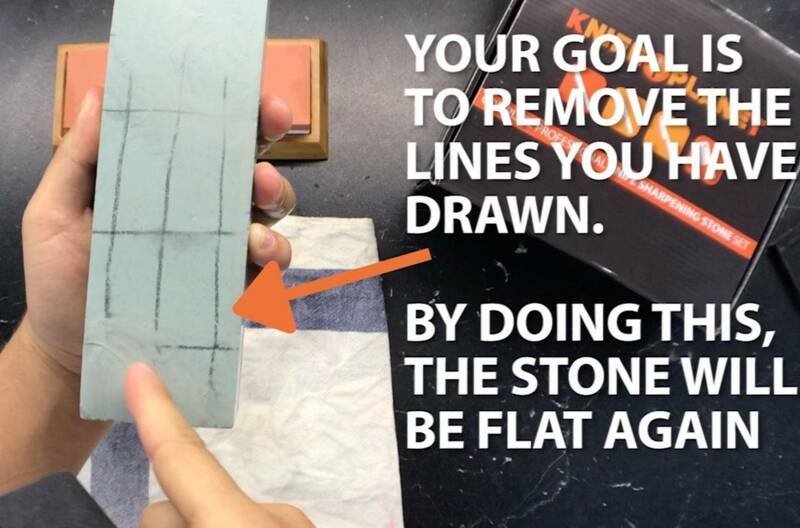 Once the lines are removed, the stone is perfectly flat. 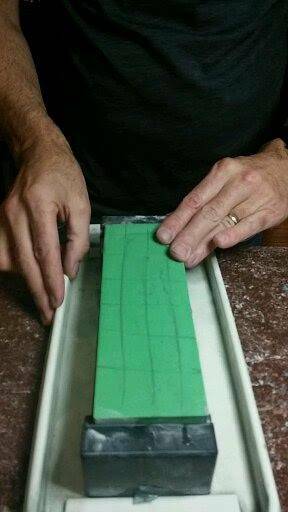 Get into the habit of doing this after 3-4 knives so you always have your water stones perfectly sharp. It takes no longer than 5 minutes. The dark green stone is fixed and flat; it was very dished before flattening. I've been collecting knives since I was a kid. The first knife my dad gave me was a finnish Pukko and I've been loving Scandinavian knives since then. I'm also a bowhunter and enjoy traveling.